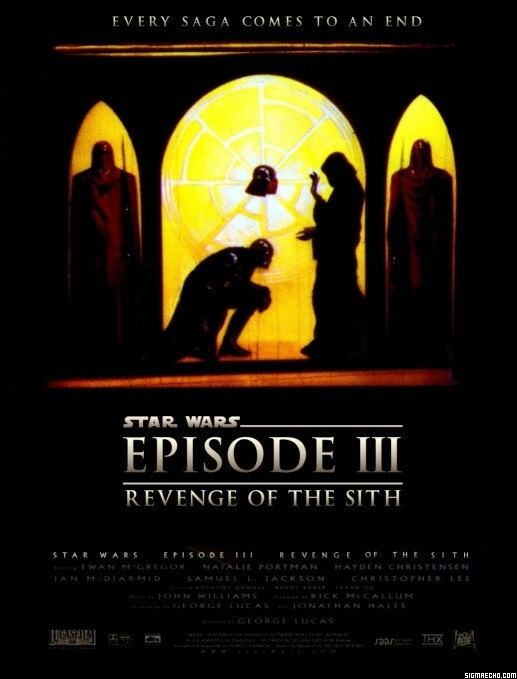 In honor of the unveiling of the title of Episode III, “Revenge of the Sith,” here’s a fan poster I made. It’s very rough and I didn’t bother to make it look professional, I didn’t see the point in wasting all that time for so little gain. Besides- you get the point. The art is a piece by artist Thom Ang that was part of Topp’s Star Wars Galaxy – Series Two, a trading card set that showcased Star Wars-Inspired art. Topps released 3 sets in the early 90’s, back before Pokemon – back when cards sets were doing interesting things like art sets. I haven’t seen an interesting card set since that era, I seriously hope for their return.